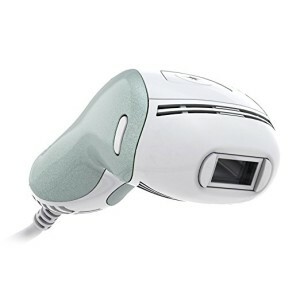 One of the reasons people buy a home laser hair removal device, is to remove unwanted hair from the face. One of the most popular home systems is the Remington laser hair removal unit. Check the facts about using Remington Laser hair removal for face below. Is it safe and approved for removing hair from the face? Which parts of the face is it allowed to be used for and which are not approved? How about men facial hair? Who are the right candidates and how to do it safely. 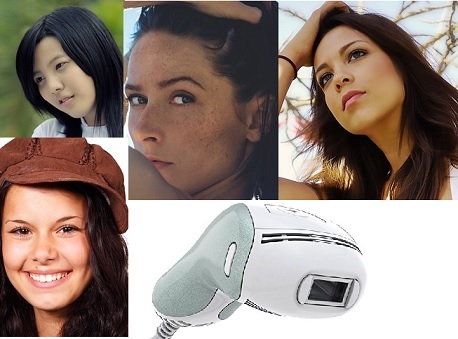 There are plenty of Remington models, which of them is approved for facial hair removal? The term ‘laser hair removal’ has become so popular it is now a generic term for home hair reduction treatments with light emitting machines. 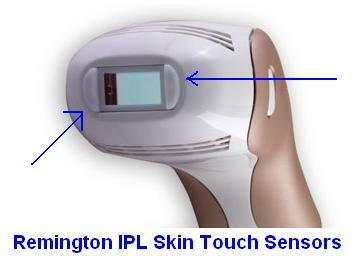 The fact is that Remington iLight Ultra is an IPL (intense pulsed light) machine and not Laser. 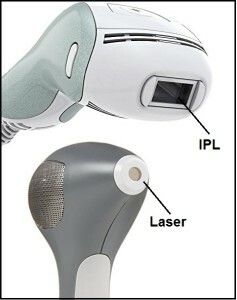 The IPL is pulsing a flash of light (like a camera flash) while laser is beaming a focused beam (like a laser pointer). 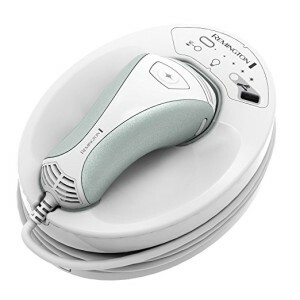 There are pros and cons for each, but while many refer to the Remington laser hair removal, they usually mean the Remington IPL hair removal device. Remington does not have a ‘laser system’ for home use. It depends on the type of Remington model. The former ones where NOT approved to be used to remove facial hair. The new Remington ‘laser’ devices have been cleared by FDA for treatment over the face. The Remington iLight Ultra 6500 is the newest and most advanced model face and body (for 2017). It was designed to be able to treat the face safely with a unique facial cap. The iLight body and face is approved by FDA to be used to reduce hair from the face, only for women. 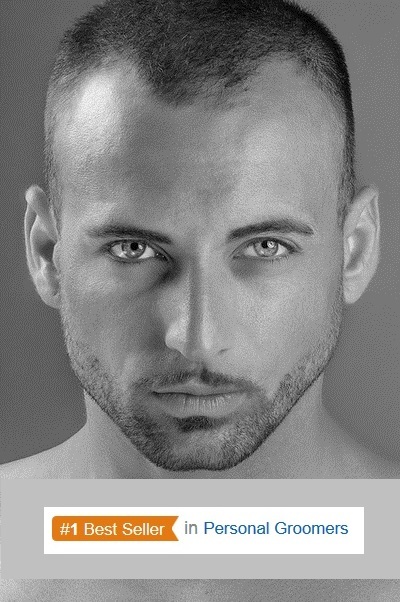 Male facial hair growth is not the same as women’s hair growth, no home device has approval to be used by men for reducing facial hair. Check the video below to see Remington iLight IPL laser treatment demonstrated. As you may have seen in the video, the areas which the Remington Ultra can be used are from the cheekbones and down. 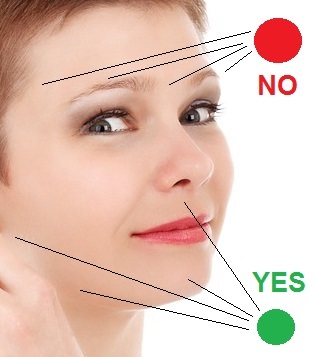 These areas include, the chin, the sideburns, the cheeks and the upper lip area. You should not try and use the device for other places on your face. Especially not in areas which are close to the eyes like between the eyebrows or on the sides of the eyebrows. There is a real danger that the flashes would cause damage to your eyes! The intense flash pulsed can burn dark pigmented areas and cause permanent sight damage. The Remington iLight Ultra Face & Body comes with two IPL treatment caps. One with a wide window for the body and one cap with a smaller treatment window for the face. Use only the smaller facial cap when treating the face. It will help you cover only areas you intend to treat and not overlap areas which are not. The smaller cap helps a you keep better precision which is important for the face. Another safety feature which will help you preform safer treatments is that the facial cap slows down the flashes – 3 Seconds (for Body Cap), 4 Seconds (for Facial Cap). Enough time to place the applicator window at the exact place and make sure it is not too close to the eyes. Click here to see the latest reviews and rating for the Remington iLight Ultra system, with the facial cap and body cap. The IPL and laser heat any dark matter they are pulsed upon. When the pulse is emitted over the dark pigmented hair, it heats it and disables it. You must be careful when doing a facial session to make sure not to pulse light over any darker skin areas. The most common area people miss, is the lips. The lips have a darker color than the upper lip, this the intense light can heat the pigmented skin and zap it! What you should do, is use the facial cap for going over the upper lip. Plus you should use a white pencil to color the lips and mask the lip before the treatment. Use the white pencil to cover any dark spot you may have (skin spots, freckles, moles, skin tag and tattoos). 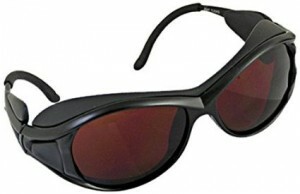 Many people invest a little more and get dark laser protective glasses. You can never be too safe when it comes to the eyes. Click here to get laser grade safety glasses from Amazon. The IPL flashes will pulse only when the applicator window is firmly pressed to the skin. So all the intense light is projected toward the skin, and only side illumination sometimes glows on the side. So laser protective glasses are not necessary usually for IPL, though this flash can disturb and dazzle if you look directly into it. See below the side illumination with the body cap during the session (the facial cap is narrower so less light escapes). You will have more success with the Remington laser hair removal for face, if your skin has a light color, and the hairs you target are dark. When the skin-hair contrast is like this, the light energy pulse targets the dark hair easily and zaps it. If you have darker skin color, you can still use the device but more sessions may be required. Some of the light will be absorbed by the surrounding skin and less will reach the hair. Check the face skin by using the device skin tone sensor on the display panel. Begin always with the low grade and then as you feel comfortable you can raise the energy level. Click here and get one of the most advanced home laser hair removal systems, approved for both body and face. This entry was posted in Home Hair Removal, Remington IPL, Specific Body Hair Removal and tagged best way to remove peach fuzz from face, blond facial laser hair removal, Facial Fine Hair Growth, Remington iLIGHT Ultra 6500, Remington IPL6000 iLIGHT Pro Plus Quartz Hair Removal System, Remington IPL6500 QFB, removing hair from the face by . Bookmark the permalink.